FRAMECAD Ltd. is working with the Red Cross to rebuild the Vunikaikaloa Arya School in Fiji, which was destroyed last year by a cyclone. The FRAMECAD system, built with IntelliCAD, can be used to quickly construct safe buildings after an environmental disaster and is being used to rebuild the school. 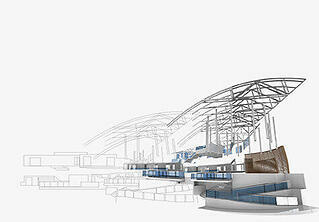 For more details about the project and its progress, visit the FRAMECAD blog. The ITC automated test system is one of the many ITC technologies that members can leverage and incorporate into their own development systems. The robust framework builds IntelliCAD multiple times a day and runs over 25 million verified tests daily on those installable builds. There are unit tests, regression tests, API tests, roundtrip tests, visual comparison tests, and performance tests. 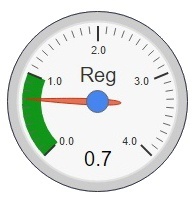 All data is fed automatically into Overall Health Index dials, like the one pictured here. In a recent article, ActCAD highlighted how they incorporate these test and quality systems into their own processes. For more details from ActCAD, see http://actcad.com/actcad-intellicad-quality-systems.php. For more details from ITC, see https://www.intellicad.org/cad-platform-automated-testing-framework. FRAMECAD Mobile Factory and its Light Gauge Steel construction was evaluated by the US Navy for disaster relief and humanitarian assistance. A reduction in construction time by two-thirds and a reduction in required workforce by one half were just some of the benefits initially reported. FRAMECAD Ltd. is an ITC member developing the FRAMECAD system, which is a rapid steel framing design and build system based on IntelliCAD. For more details and to watch the video, see http://blog.framecad.com/blog/the-us-navy-framecad-factory-transforming-humanitarian-assistance. ITC member ActCAD Engineering Solutions recently announced updated maintenance release 8.3.365 for ActCAD 2018 Professional and Standard in both 32-bit and 64-bit versions. ActCAD 2018 is CAD software based on the latest IntelliCAD 8.3 engine. For more details, see http://actcad.com/actcad-2018-new-patch-8.3.365-released.php.